Coming in at just under the £100 mark, the ASRock Steel Legend sits in a range where features must be plentiful but gimmicks, such as RGB lighting, are generally regarded as adding no value while costing extra to implement. The Steel Legend seems to find an excellent balance between the two. We get things like USB 3.1 Gen.2 and a pair of M.2 NVMe slots but we don’t get WiFi connectivity or LN2 switches for extreme overclocking, to name just a few. Performance is, as the graphs show, there or there about, it wins in some tests and loses in others but it’s never a massive outlier which would cause concern. Please also remember that all of the tests, excluding the gaming benchmarks, are synthetic tests designed to find small differences, in real-world use those discrepancies are often much more difficult to detect. The difference between 43199MB/s and 43521MB/s in our AIDA64 Memory Read test would be impossible to “feel” in any applications, for example. 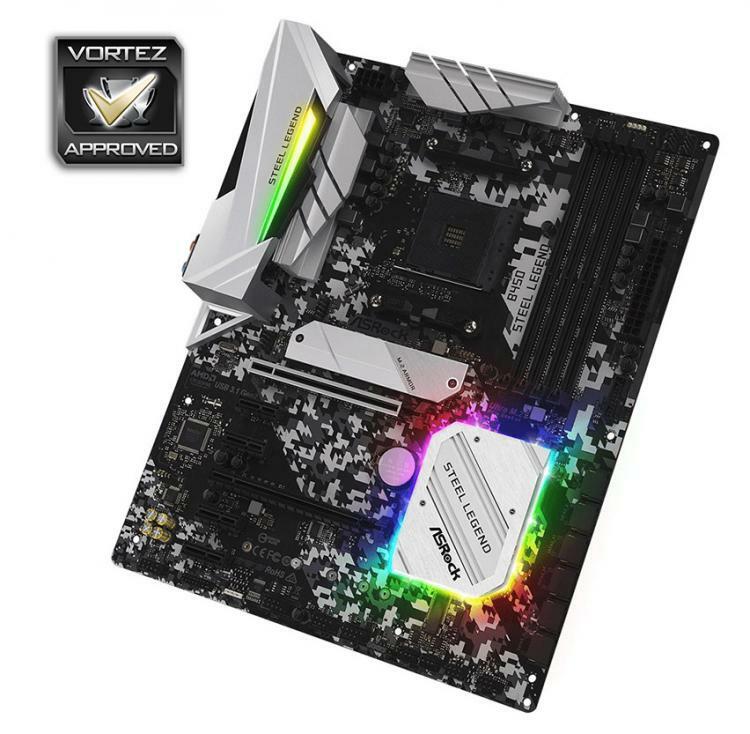 Aesthetically, the ASRock ‘board hits a spot in the market that not many others are currently occupying, using the black and white theme with bare metal heatsinks. This could tie in very nicely with peripherals from a few manufacturers who are now offering their products in black or white. Something we felt was a little different but absolutely adds to the value of the product was the quality of the packaging. This is usually a single-use feature, but thanks to the foam packing which was directly fixed to the motherboard, it stands a much higher chance of arriving in a working condition; if you’ve ever built a new PC to find that a component doesn’t work, or works intermittently, you will know the pain involved in trying to diagnose and then replace that component. If we were being picky, we would’ve liked to see WiFi/Bluetooth connectivity on this motherboard. While that would certainly add cost to the production, pushing it over that £100 barrier, it can be very useful or even essential for a lot of users. Front USB 3.1 Gen. 2 would also be advantageous with many chassis now arriving with front IOs equipped to handle USB 3.1 Gen. 2 Type-C speeds. Overall, the ASRock B450 Steel Legend, we feel, is a great motherboard worthy of your cash, the striking design stands out from the crowd while performance isn’t lacking at all. You also get a pair of M.2 slots which isn’t commonplace at this price point.